Here is the place to Get Help! You are in the good hands of an experienced, well-qualified International Intuitive Consultant, Dimensional Healer, Shaman, & Visionary Innovator! Go Beyond Healing … Evolve … Experience A New Way of Living! Return to your optimal state of equilibrium! Experience a new biology of wholeness in your body, mind, and spirit that will allow you to respond to life and live differently from here on out. This approach promotes development of positive neural pathways and sets the foundation for a healthy epigenetics response for a new biology of being. Raise The Level of The Whole Being First To Achieve Lasting Results! I have done the learning, travel, research and “trying it out” for you already. My years of passionate study, research, practice, and innate gifts now provide you with an unprecedented opportunity to open the door to experience unlimited possibilities you have yet to imagine! Cutting-edge sessions to get you to where you want to be now! in All Areas of Their Life! Understand Your Power, Your Strength, Your Equality in Creation, the Magnificence, & Magnitude of Who You Really Are So You Can Choose Your Own Destiny Rather Than Be a Victim! Did You Know There is No Limit to What You Can Unfold in Your Life? “Leah has the ability to see and feel what is needed – all I had to do was let her know what I wanted and the work began. Thank you Leah for all your help. Sessions Provide Information Not Available To You Every Day! Clients enjoy great benefits from my powerful “Tune-Ups“. Many also choose a “Week of Distant Energy Healing & Balancing” or use an “Absentee Session” when they are busy. These sessions are “done for you while you do your life”. My clients find these appointment-free sessions efficient and powerful! They often request them! She is deeply spiritual and brings a wide background of cross-disciplinary training to evoke and facilitate each client’s recuperative powers and outcomes they have yet to imagine. Work With The “Whole” Being First & The Issues Often Disappear! Whether your goal is health, business, professional, or personal growth, the underlying cause blocking it is in the physical, emotional, genetic, inherited, ancestral, or spiritual arena. The drain from these issues precipitates oxidative stress in the body which can cause illnesses and diseases that affect your life, health, and well-being as well as blocks in your ability to think and problem solve. Stop trying to live with these issues now! Move permanently to a higher frequency & a new way of living! Responding To An Evolving World Vision Through Love & Wisdom! Nous-Based Healing is one single paradigm of global spiritual transformation, an expanded awareness umbrella that encompasses but is not limited to time, dimensions, healing, spirituality, intuition and the quantum fields. Nous-Based Healing is mathematically congruent love-based energy that amplies healing, facilitates life shifts, and enables my clients to get where they want to be in life. NBH is simple and elegant as it aligns and reconnects us, and allows us to evolve toward global spiritual transformation, health, and wholeness. “The doctor couldn’t find any signs of scoliosis. Certified: Lymphologist, Therapeutician, Life Coach, Medium, NLP Master Practitioner, Multiple Energy Healing Techniques & Approaches, Consulting Hypnotist: Past Life Regression, Ericksonian, Transpersonal, & Wellness. Shamanic Energy Medicine. 1) Nous-Based Healing (NBH) New healing paradigm. 2) Specialized Generalist (SpG) Energy process and term. 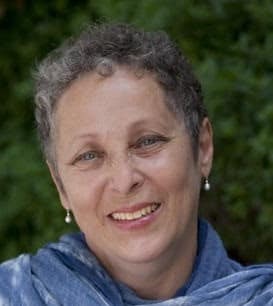 “It is a privilege for me to recommend R. Leah Moon as a uniquely multifaceted healer and intuitive. Result-Based – Natural – Practical – Easily Accessible – Fun! Leah brings forward healing in her clients and gives them the gift of seeing themselves more clearly. She Incorporates a wide variety of skills in working with clients, and her approach is results-based. I highly recommend her services.” — Anne F. Salisbury, PhD, MBA, CCHt Founder, ED. A Life Event – Sessions do not stop when the appointment ends! Subtle energy work is multi-dimensional and often not observable until after some time has past. Everyone is different. You may experience dramatic changes as early as when you schedule, during, after, or in-between sessions. Know that the more subtle work has an ordered sequence, is linked with your higher self, and therefore continues to unfold for a long time after your appointment ends. I enjoy my past clients contacting me to share their experiences, revelations, and changes in their life as they continue to evolve and manifest brilliant new lives.